The popular fractional ownership property Sedona at Seven Canyons is now offering pre-construction pricing on the Enclave Townhomes. These are located along the 1st, 5th, and 7th holes of the golf course, and each home will have a perfect, beautiful view of the course and unrivaled beauty of Sedona, Arizona landscape. Owners have the opportunity to join the Tom Weiskopf designed golf course club with club facilities such as the Practice Park and Performance Center, and gain access to the Enchantment Resort and Mii amo Spa. A model home, located along the 7th green, starts construction on January 15, 2018. It is priced at $1.2 million USD. 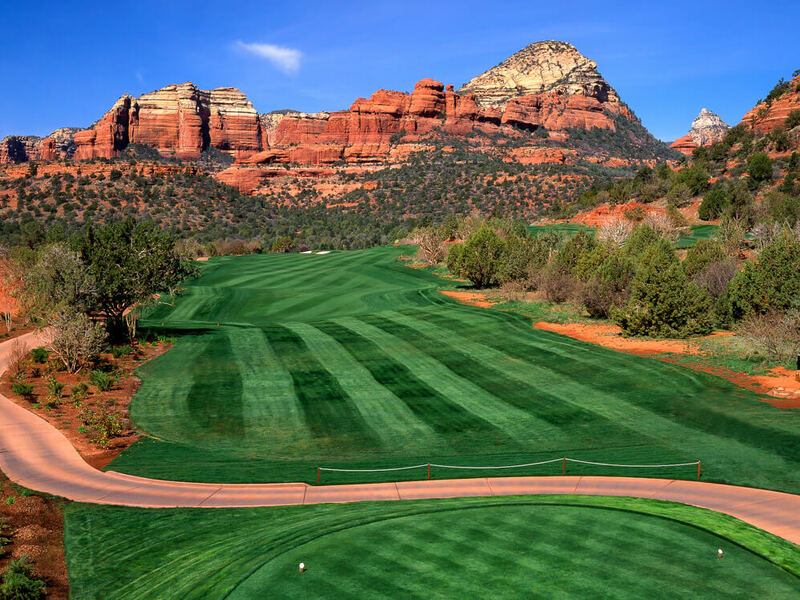 There is no doubt that Sedona is an appealing winter destination for winter snowbirds – and Sedona at Seven Canyons is the ultimate if a 5-star luxury golf experience. By purchasing fractional ownership at Seven Canyons or a new full-ownership townhome at Enclave, your golf vacation home and experiences will be best-in-class. Here is a layout of the new Enclave Townhomes near the course. Each home has its own character and unique view. For more information visit sevencanyons.com or call 928-203-2016. View the Sedona Seven Canyons fractional property information.